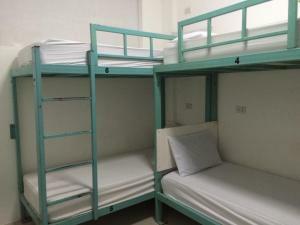 Koh Tao Hostel is perfectly located for both business and leisure guests in Koh Tao. Offering a variety of facilities and services, the hotel provides all you need for a good night's sleep. All the necessary facilities, including 24-hour room service, Wi-Fi in public areas, car park, tours, laundry service, are at hand. Some of the well-appointed guestrooms feature air conditioning, mini bar, balcony/terrace, fan, television. Entertain the hotel's recreational facilities, including massage. A welcoming atmosphere and excellent service are what you can expect during your stay at Koh Tao Hostel.